These 10 rules will keep kids safe around guns. Gun safety is a serious matter that all gun owners must adhere to. The next generation needs to know these rules, and it is up to us to show them the safe and correct ways to handle firearms. Teach them the following 10 rules to keep them safe. #10. If they ever see a gun anywhere unsecured, get an adult. Simply put, kids and guns don't mix. Alerting an adult to a firearm's presence should be one of the first things youngsters learn. #9. If an adult is not around, never touch a gun. Ever. Leave it alone and tell an adult. #8. Treat all guns as if they are loaded. Always keep the fingers off the trigger! Never point at a living animal, person or property. Only point at a target when ready to fire. Always keep guns pointed in a safe direction. #7. Guns are not toys. Those fired bullets cannot be returned to the gun in case of a mistake or accident. The damage is done. #6. Guns are not like in the video games or on television. It should go without saying, but don't think you can wield a firearm like Rambo, or make bullets bend like in The Matrix. #5. Guns are necessary for hunting and personal protection. Teach them before the anti-gun crowd can teach them the wrong lessons about guns. #4. If they are old enough, take them to a gun range when there are few shooters if any around to interrupt your teaching session. Show them the safe way to use a small caliber firearm, preferably a .22 caliber one, or a pellet or bb gun. With this practice, they will be able to safely handle that weapon under adult supervision and know the true power of it. They will realize it is not a toy but a serious tool. #3. Education cannot be stressed enough. Gun educated children will know the right from wrong and will not be tempted by the curiosity factor if they already were shown a gun. #2. 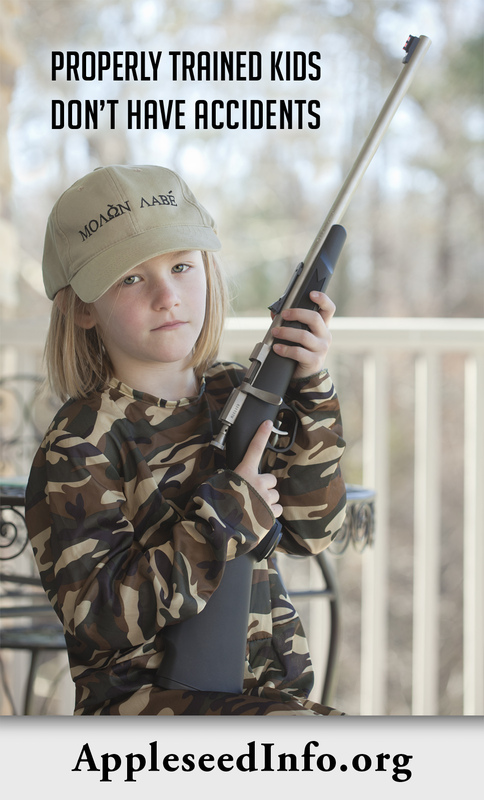 Teach kids to always pay attention and never do anything that might distract you while handling a firearm. Texting your friend? No. Teach them to use their heads! #1. This lesson is for the adults- Keep all firearms locked up and secured when not in use. A loaded gun under the couch is not safe storage. As with sharp instruments, matches, house-hold chemicals or power tools, they have no place being accessible to children. Loaded or unloaded, lock them up and secure them, whether from children or unauthorized adults. If you want to learn more, the National Rifle Association has the Eddie Eagle Program for teaching gun safety.